The “publish” checkbox that controlled whether jobs appeared on your public careers site (for job seekers to view and apply) has been removed. Jobs that were in the OPEN status and were not published are now in the INTERNAL status. 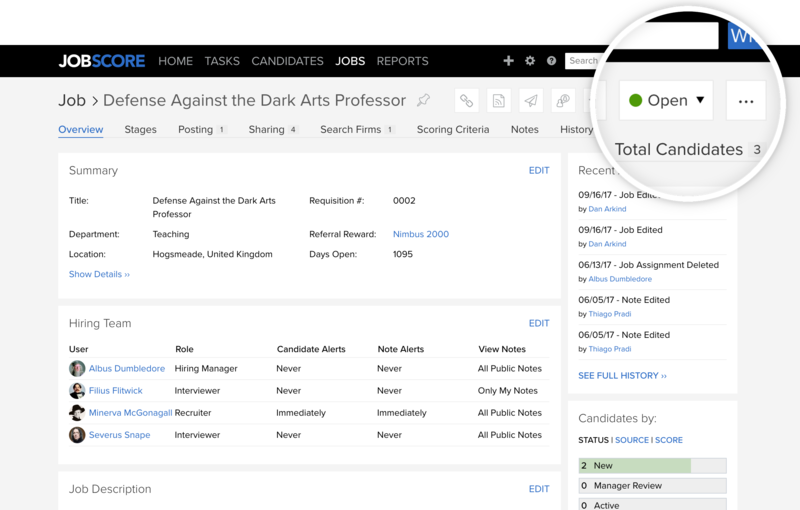 We’ve added a new job status called DRAFT for jobs that you aren’t ready to work on yet. 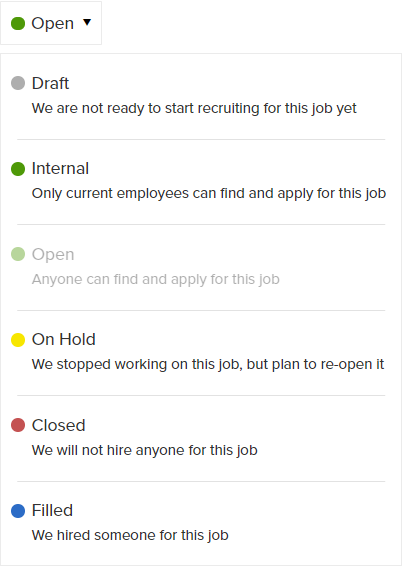 When you add or copy a job you can now choose whether to put it in the DRAFT, INTERNAL, or OPEN status depending on your needs.